It is always great to catch up with my friend Freddie Williams II, whether it is at a midwest con or in San Diego. 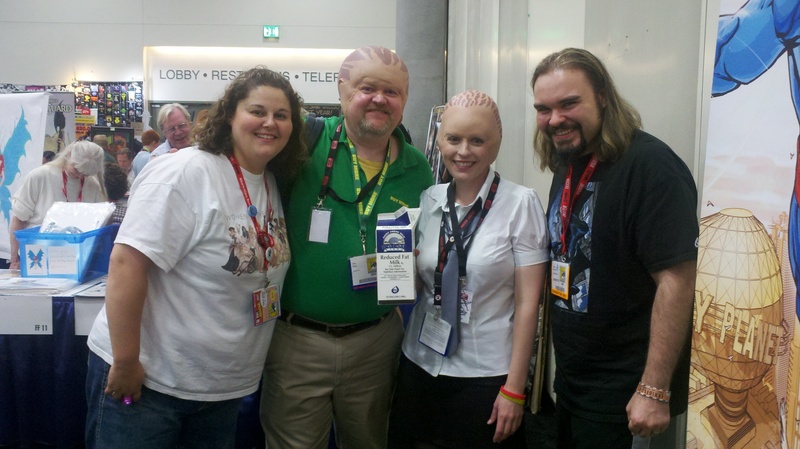 DW and I were lucky to meet up again with Freddie and his wife Kiki at Comic-Con in San Diego last month. 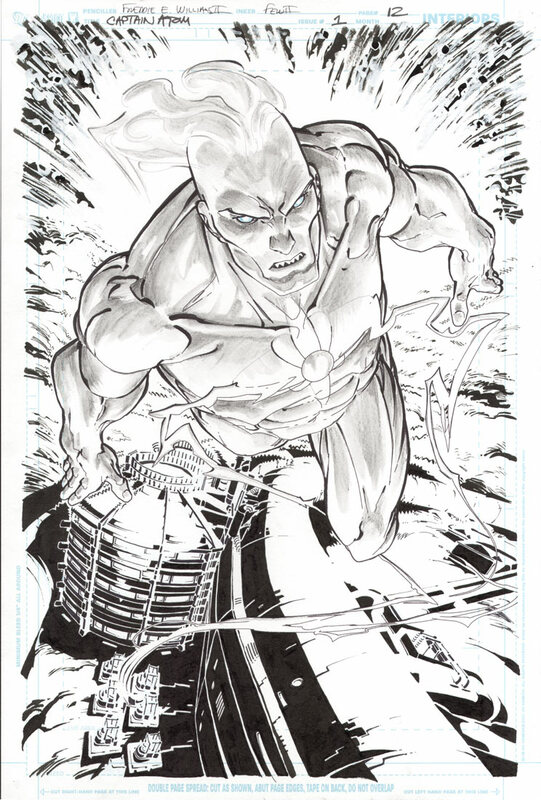 Freddie is probably best known as the series artist for DC Comics’ Robin, as well as more recently the Flash series, but he’s also served as artist on Aquaman and Seven Soldiers, among other titles, and he is currently the artist on the new Captain Atom series premiering next month. And I mentioned in a prior post that Freddie literally wrote the book on digital comic illustration, The DC Comics Guide to Digitally Drawing Comics . We’re happy to welcome Freddie to borg.com. 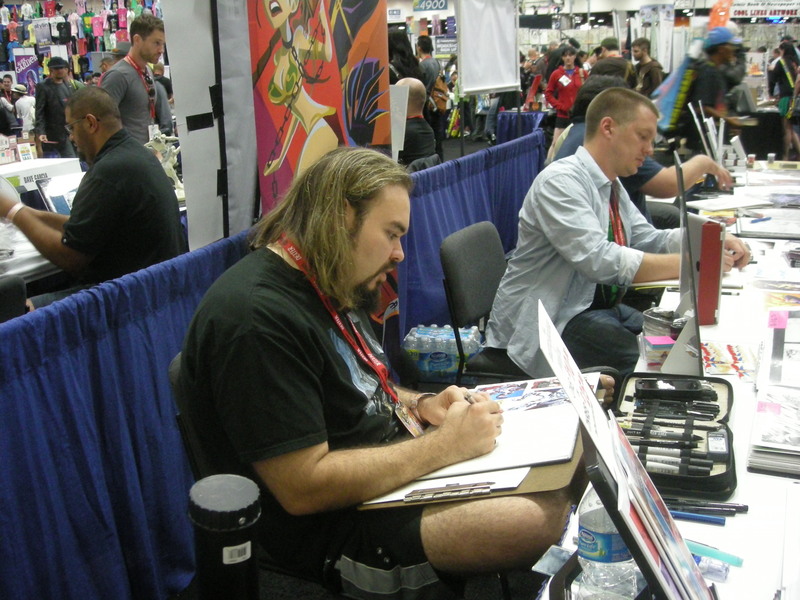 It was great to see you again doing sketches for fans at Comic-Con this year. How was life in Artists Alley? How did this year’s event compare to past years for you? Freddie: Artists Alley and the convention itself are super busy, I love seeing friends from years past and meeting new folks but those 5 days go by so fast. The first couple years I had a bit more time to breathe and walk around but now I am doing signings and commissions non stop, but I love it! What was the best part of Comic-Con for you this year? Did you make it to any panels or offsite parties? Any favorite fan moments from this year? 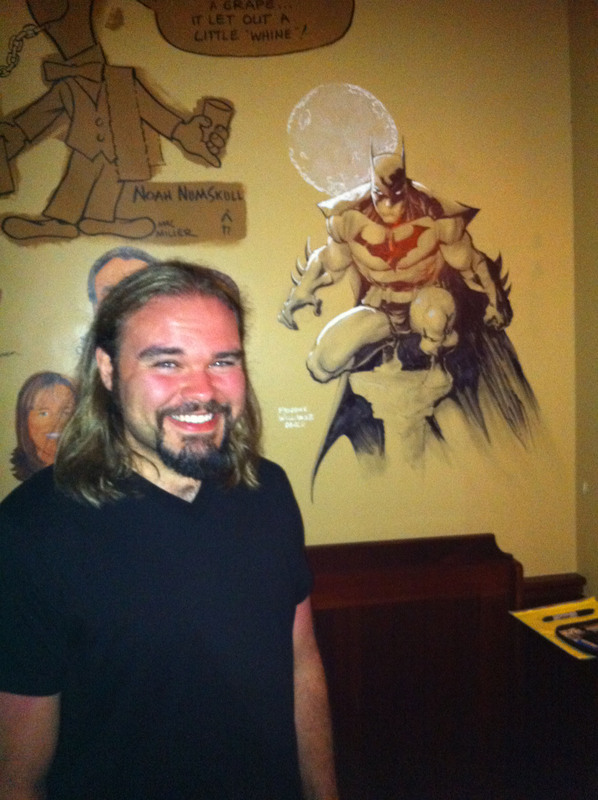 I was on The New 52 Panel for the DC Reboot but I had no time to walk around and take in any sights. 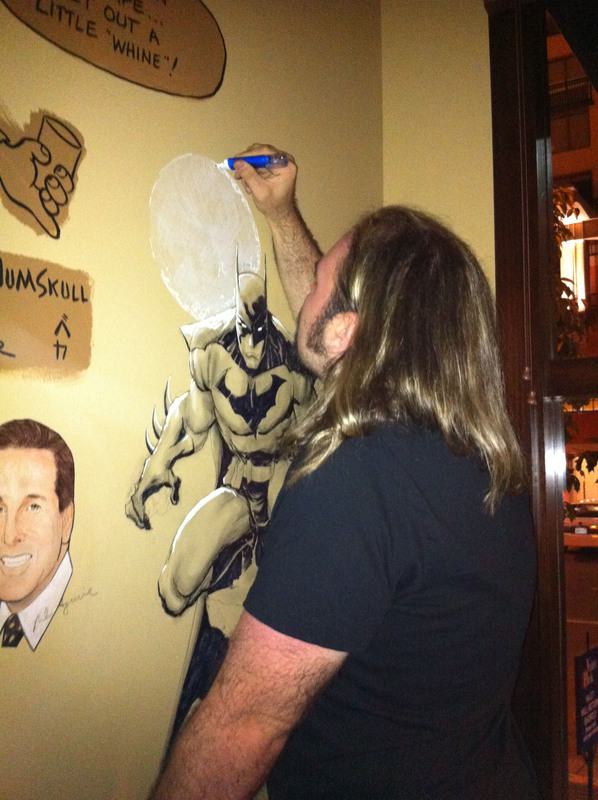 No offsite parties (too much work to do) though I did dinner with my Editor and a few other DC folks one night and got to add Batman to The Palm restaurant in the Gaslamp District another night, that was pretty awesome! Every year longtime Comic-Con attendees comment that Comic-Con has changed with the addition of mega-panels for Hollywood movie franchises, production studios, video game companies, etc., implying a lesser focus on the “comic” in Comic-Con. Being in the industry as a comic book artist, what is your take? Freddie: At times it does feel excessive, but folks don’t have to go to those panels & areas if they don’t want to. There are still comic related areas to hit, though they do tend to be shrinking every year. I was very happy to see deviantART add the Jumbo tron screens over Artists Alley this year, those rocked! Any peers in the comic book world you were able to meet up with again, or meet for the first time? Freddie: Had dinner with Rachel Gluckstern, JT Krul, Nicola & Craig Scott during the con and a few days after the con we met up for lunch with Francis Manapul, Agnes Garbowska, & Joel Gomez, then before we left for the Chicago con we met up again with Joel Gomez and his wife Beth Sotelo. It is always a blast to get to hang out and visit with these folks when we’re out for the Comic-Con. 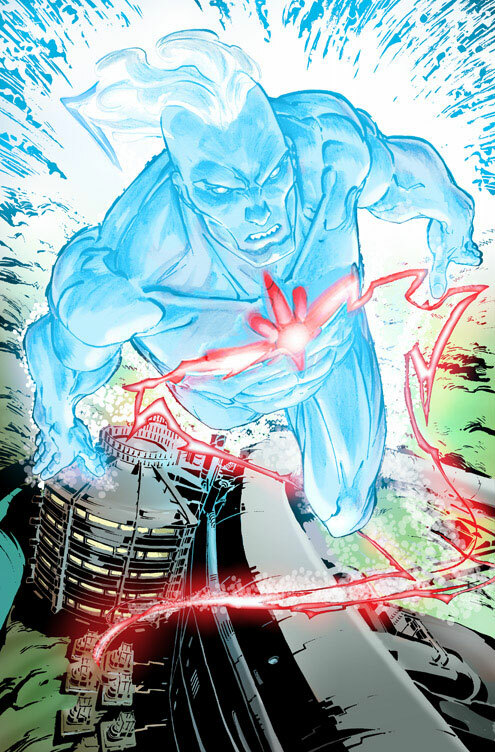 I want to throw in a big congratulations for being selected as the artist for the new Captain Atom series coming from DC Comics in September. We can’t wait to see the first issue. This year’s Comic-Con had a huge focus on the DC Comics 52 #1 re-launch. What can you share with us about your work on this new project? Freddie: I am trying some new stuff artistically with Captain Atom and JT and I get to go a bit off the beaten path with the character, so it’s been exciting so far. So doing not only super hero stuff but also esoteric & sci-fi story lines as well. Any advice for next year for fans or professionals coming to Comic-Con for the first time? Freddie: Hmm, that’s a hard one, let’s see–pack light, always walk the outside halls if you want to get anywhere (from one end of the hall to another–it seemed faster to me than walking inside), be prepared to wait in long lines. And come to Artists Alley where the cool folks hang out! Thanks for chatting with us today, Freddie! 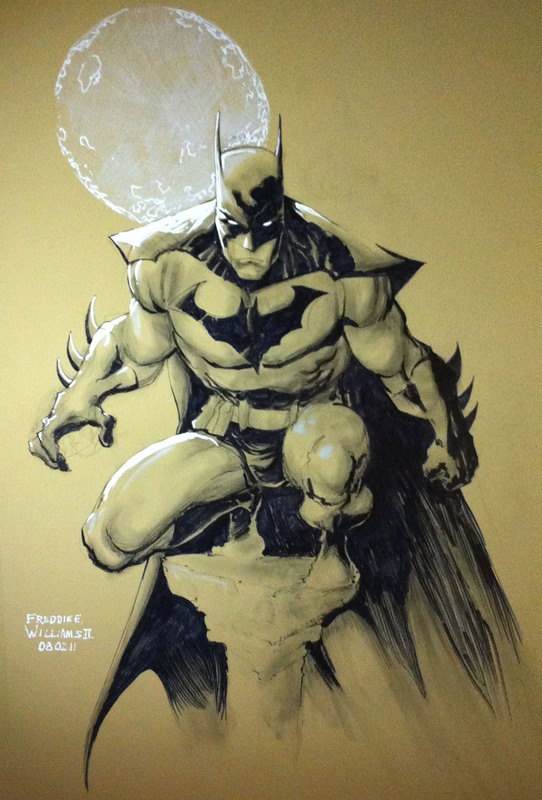 Follow Freddie as a featured illustrator at DC Comics website, at his own website www.FreddieArt.com, and on Facebook, Twitter, and YouTube!